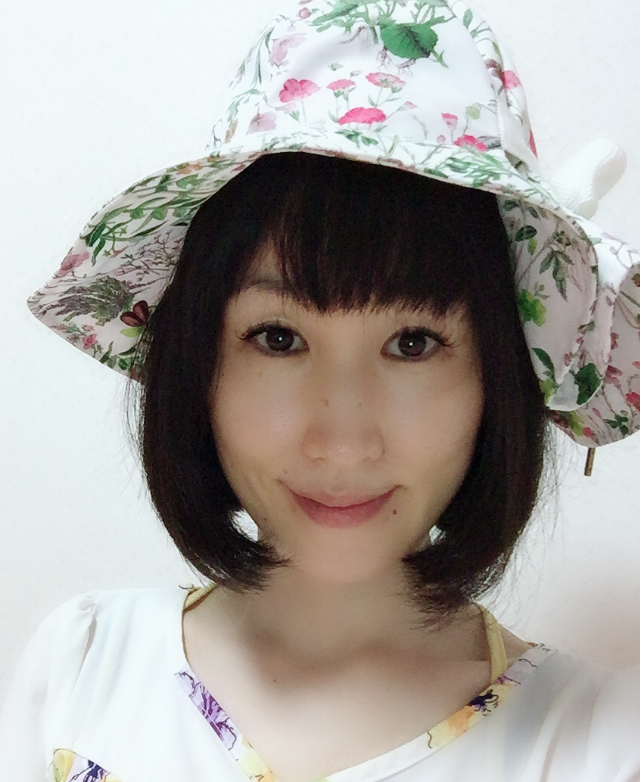 In Japan we often hear about “climate change” and how citizens are told by their elected officials that it is necessary to act quickly to combat it. Leaders worldwide want to have trillions of already scarce dollars to “mitigate climate change”. But what if there hasn’t been any real changes in climate and so really nothing much to mitigate, except changes that exist only in models? What if the changes that have been taking place are all within the range of natural variability? Does it really make any sense to risk bankrupting the planet to fight a problem that doesn’t really exist? In my home country of Japan we also keep hearing how our own weather is becoming more extreme and storms more intense because of rising CO2. Yet, when we look at the statistics for Japan over the past decades, we see some very surprising developments. Firstly, annual precipitation in Japan has not seen any trend change – in 100 years. As the chart above shows, there hasn’t been very many extremes over the past 2 decades. Precipitation has been quite steady for more than a decade. Japan saw a wetter period during the 1950s than what we have seen in the 2010s. The 1970s and 80s were marked by much variability. 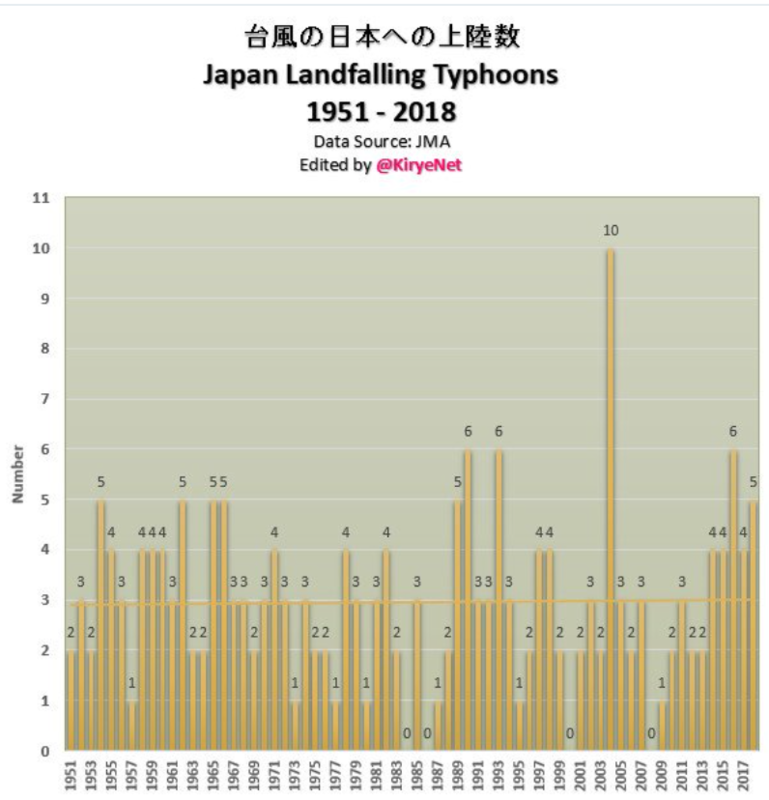 The Japanese Meteorology Agency has been keeping records on typhoons since 1951. As the chart above shows, there’s been no trend over the past seven decades. Is this “change” that needs to be combatted? In terms of typhoons and precipitation, it seems we are fighting — at a gigantic expense — changes that don’t even exist. Sea levels around Japan were almost just as high 70 years ago as they are today, according to the meticulous data of the JMA. Finally we look at Japan’s mean annual temperature. Though it has risen almost 1°C over the past century, here we observe that there has not been any change over the past two decades. The chart above has some notable features. Namely, annual temperatures from 1951 to the mid 1980s were flat, even cooling a bit. Why wasn’t “greenhouse gas” CO2 driving the temperatures up? Was it taking time off? Then at the very end of the 1980s, in just a matter of a couple of years, the temperature literally jumped to a whole new plateau, but it has not climbed much ever since. What’s going on here? Does CO2 take 30 years off, work for a couple of years, and then disappear for another 30 years again? The correlation between CO2 and Japan mean annual temperature is very poor. The abrupt jump at the end of the 1980s likely had something to do with natural oceanic cycles. 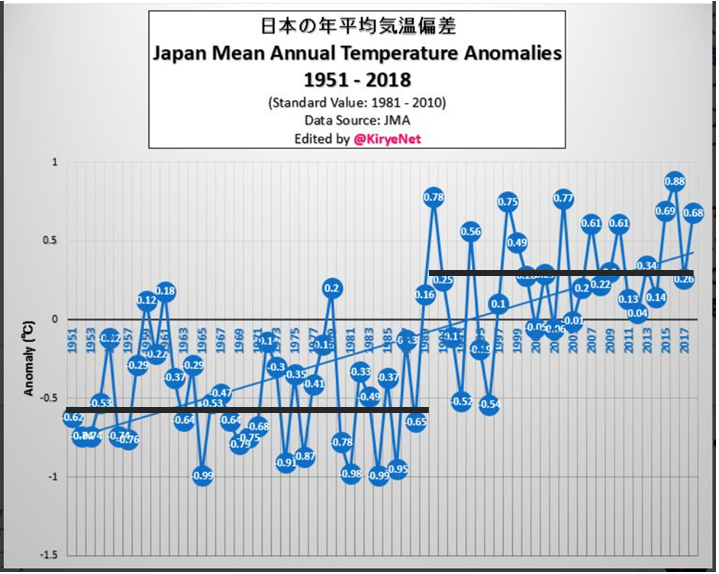 In summary, major aspects of the Japanese climate have seen no trend change over the past 100 years, and the temperature increase hardly appears to have much to do with CO2. Guessing the big jump in the last chart has a whole lot to do with urban heat islands, and very little to do with actual temperature changes. On one or another of these climate blogs I recall seeing a video showing what had happened to some weather stations around Tokyo — one formerly rural was now smack dab in the middle of a new downtown that had grown around it, and was now recording elevated temperatures. Another in the same region, but out on the rural coast, had recorded no temperature trends, or maybe a slight cooling. Pretty clear that Japan’s rainfall follows the ~60 year cycle. Sea level too. 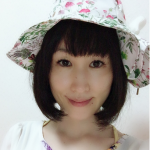 Which is logical when you think of it since the PDO follows the cycle and Japan is in the Pacific Ocean. The IPCC of course ignores the ~60 year cycle because if they took notice of it they’d be forced to lower ECS by 40% or so. Which would show CO2 to be harmless. That precipitation from 1949 to 1959 is interesting. As is the current period from 2010. Somewhere else must have had a period of dry years. Today’s high temp was minus 3 degrees Fahrenheit. I went swimming, got a good tan. I’ve never seen anything like it, how to brainwash millions of people and rob them blind. You can’t make up any of this. At a link he posts, here’s the graph not included in the article. What it shows is that CO2 FOLLOWS temperature by 600 to 1000 years, and rose dramatically without any human involvement at all.